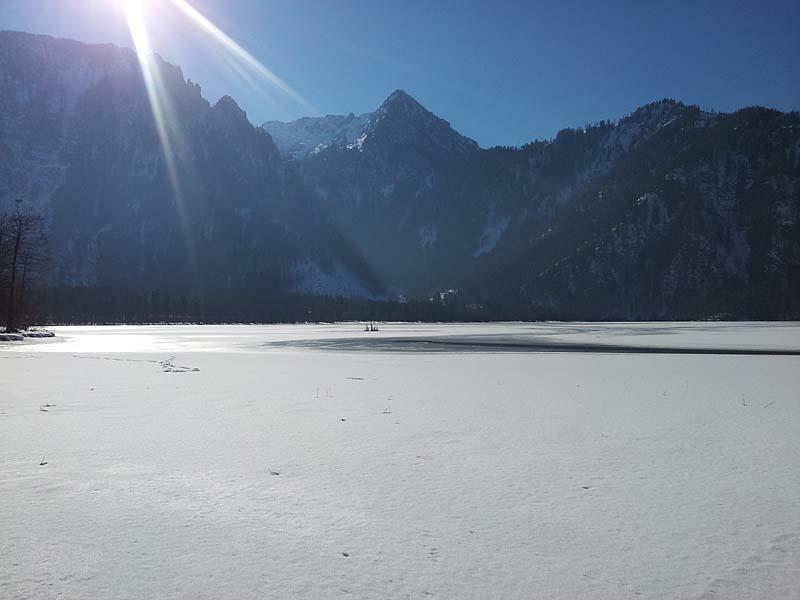 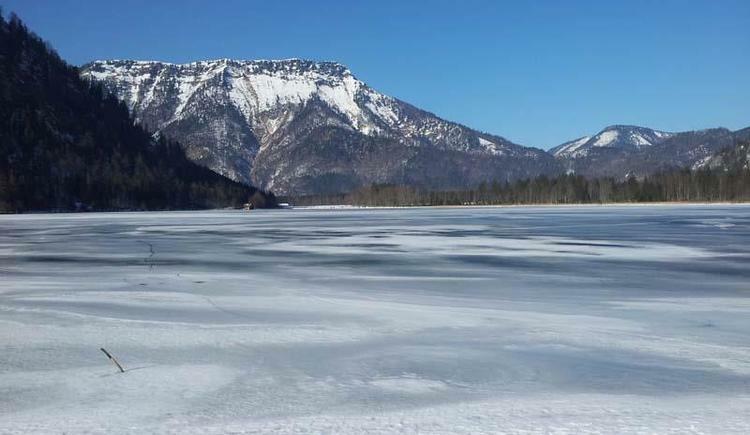 The next ice hall is in Gmunden, 17 km far from Ebensee. 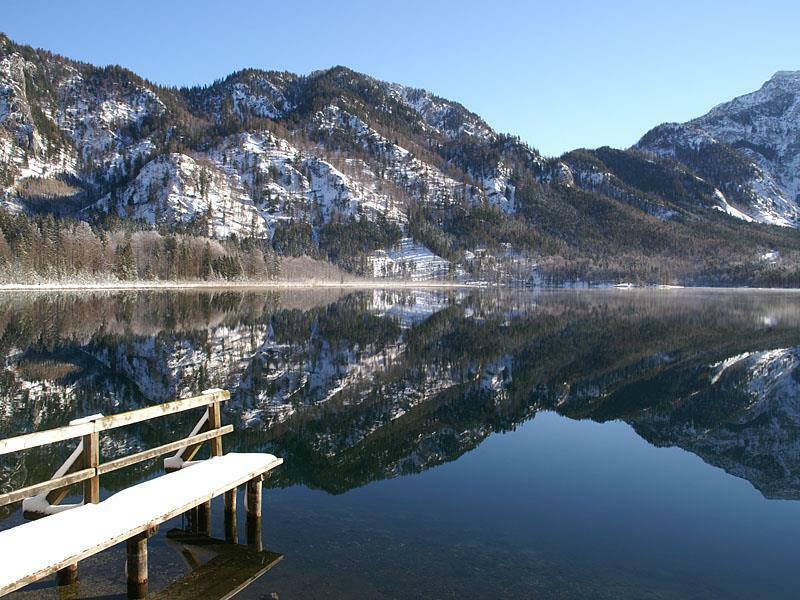 The Offensee is a nature reserve at the foot of the ‘Totes Gebirge’ mountain range. 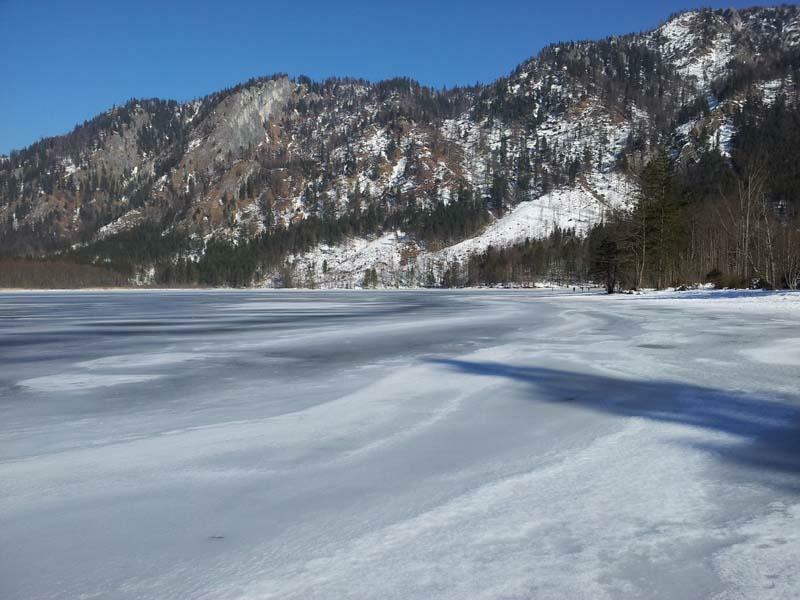 For a few weeks in the year, the water surface freezes and creates a natural ice surface. If the ice is deemed strong enough, you can go for a walk, ice skate or play curling. 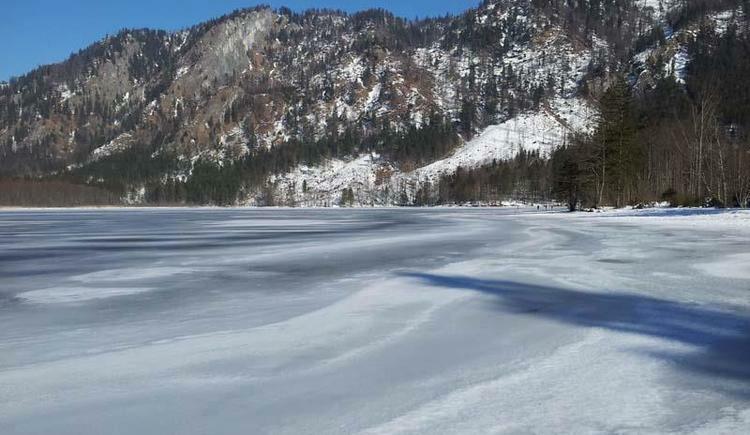 The left side of the lake is widely used for this because the shore area is somewhat flatter there, especially in the front area just behind the reed belt. 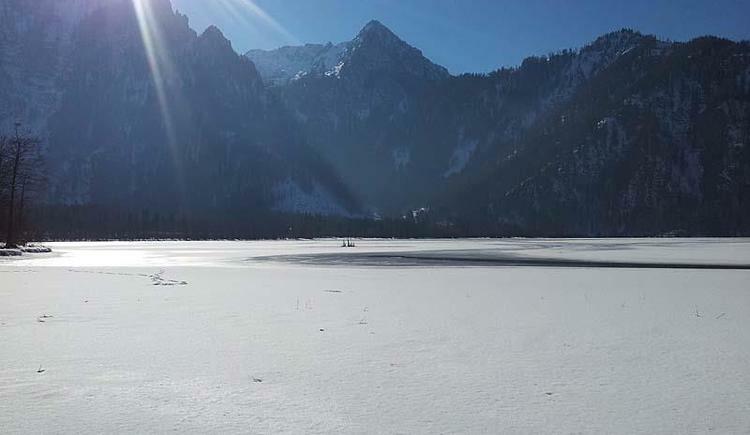 Do always be careful when you step on the ice as there are numerous springs that create air pockets which can soften the ice in some places and make it thinner. 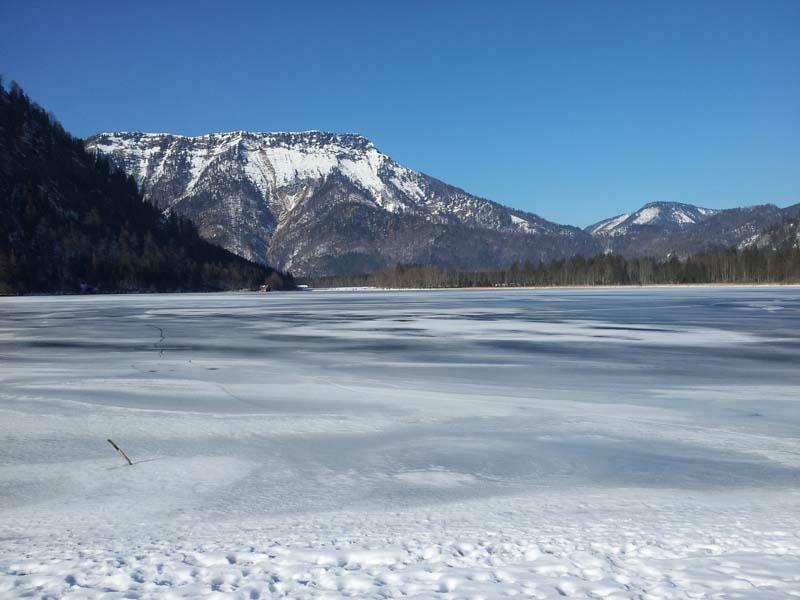 The natural ice surface usually forms sometime between mid-January and mid-February. 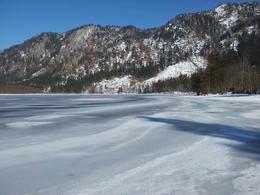 Sometimes there is ice usually from Mid January till Mid February. 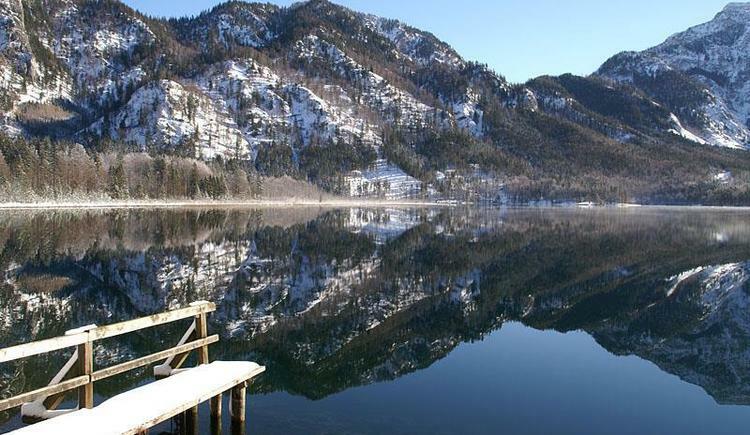 Follow the Salzkammergut main road B 145 until you reach the junction "Offensee" in Steinkogel. Leave the main road and follow the regional road east for 9 km until you reach the shores of the Offensee lake.